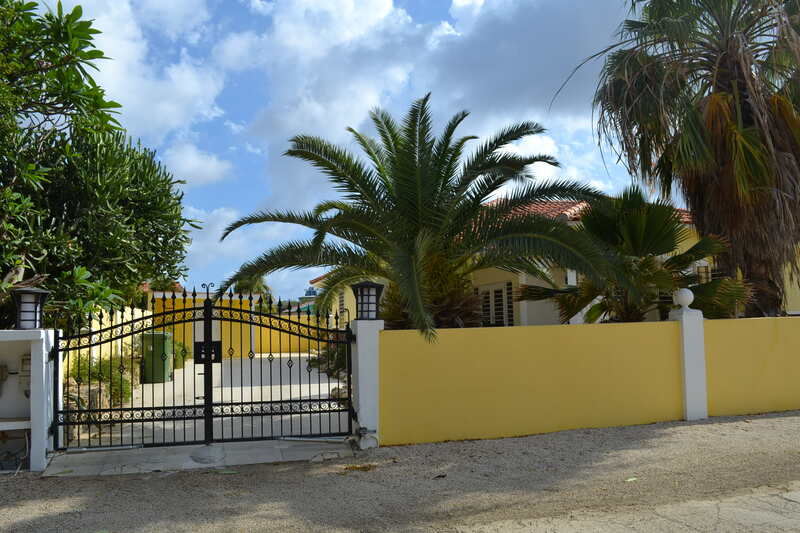 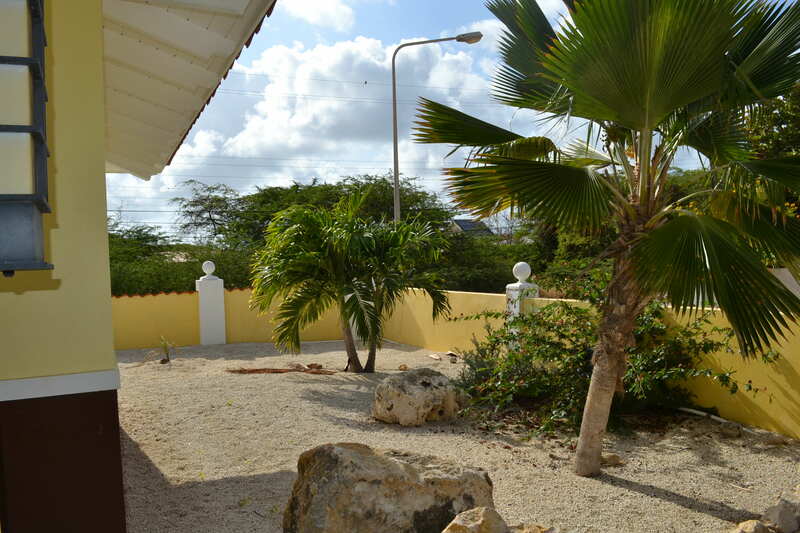 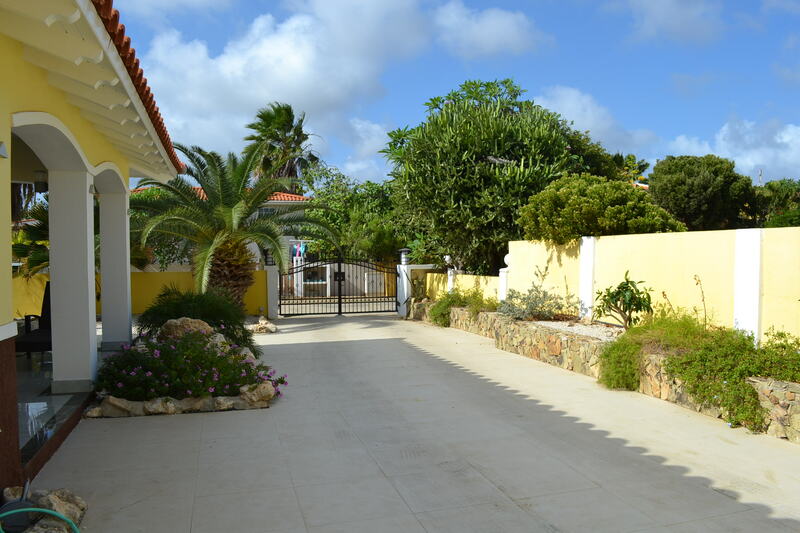 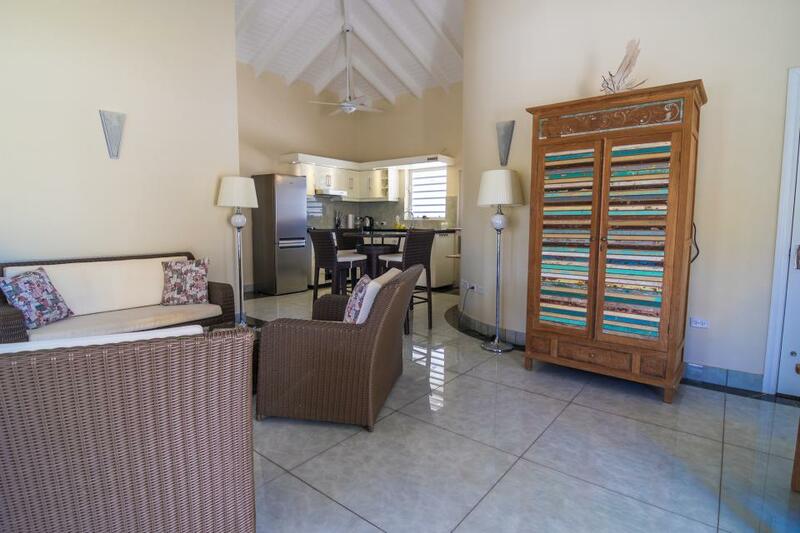 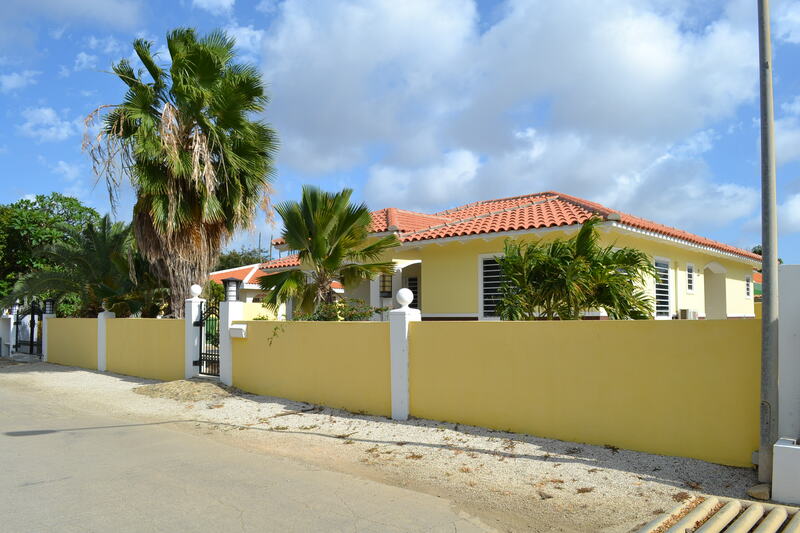 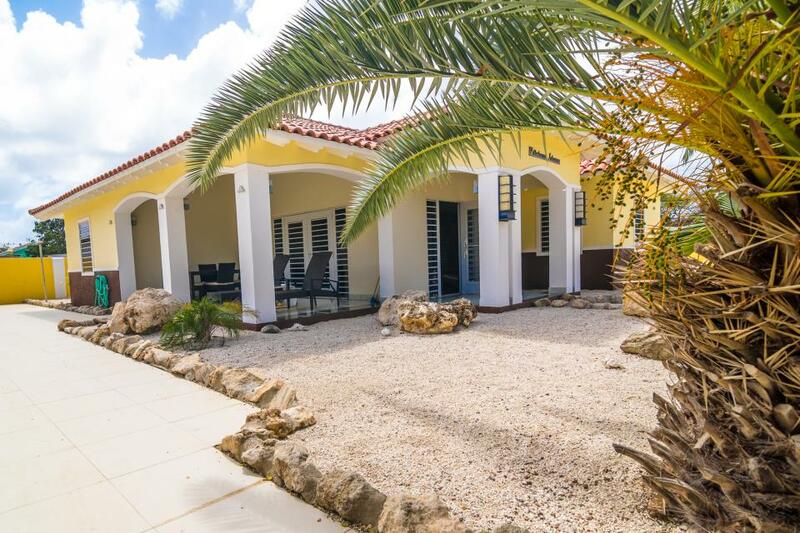 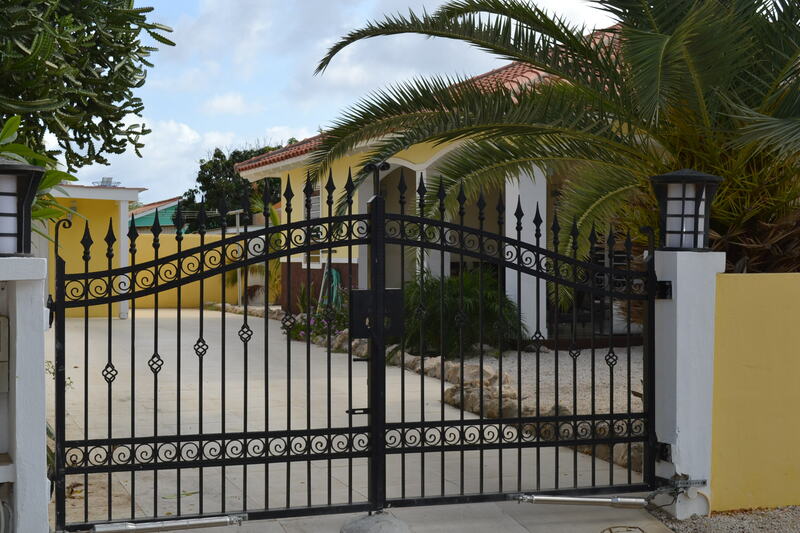 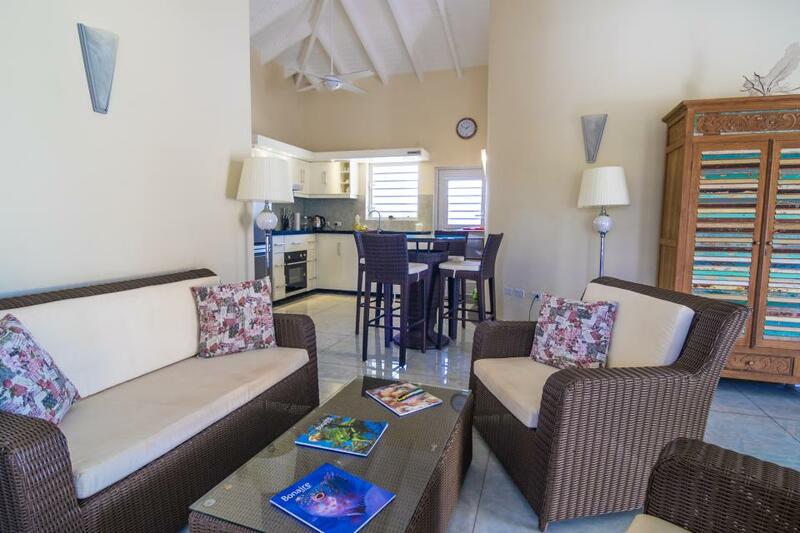 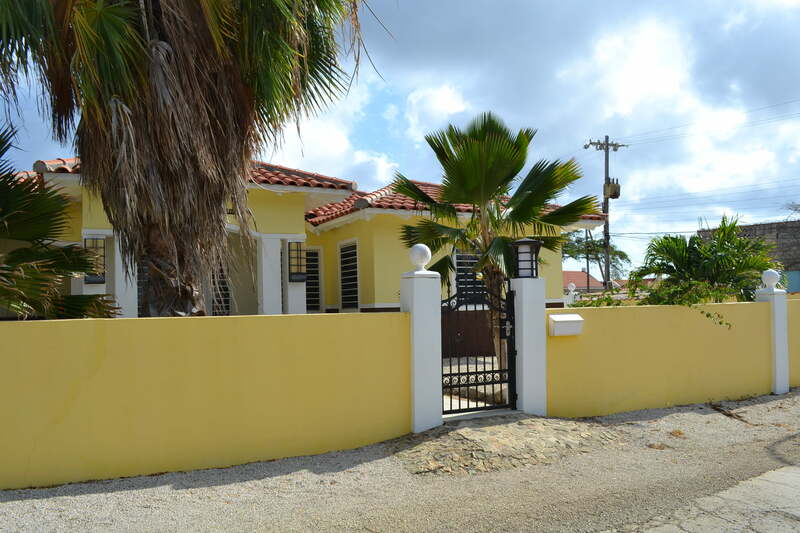 Detached house suitable for 6 persons on 500 square meters freehold land, built in 2016 surrounded by a well-kept tropical garden with private driveway/parking lot, garage/storage and outside shower. 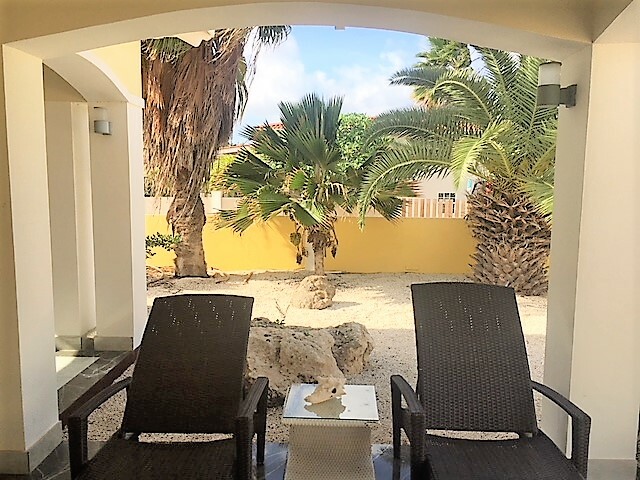 Located in a secured area, with a community swimming pool, the villa is equipped with 110 and 220 volt sockets, has a spacious covered breezy terrace with seats, table and sofas. 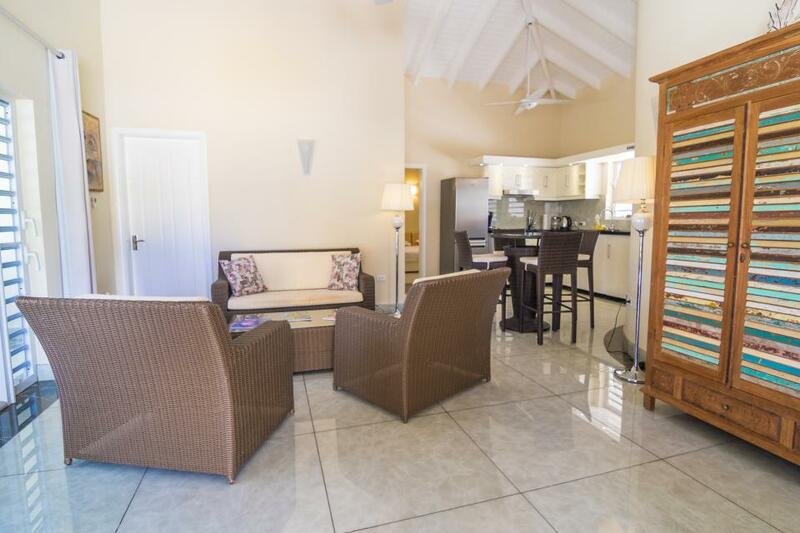 A spacious living room with well equipped open kitchen. 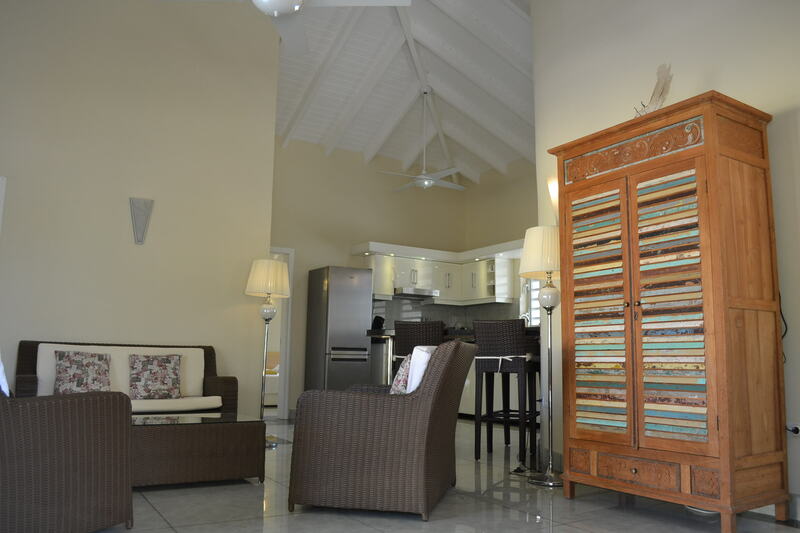 The kitchen (with ceiling fan) is equipped with stove, microwave and American refrigerator. 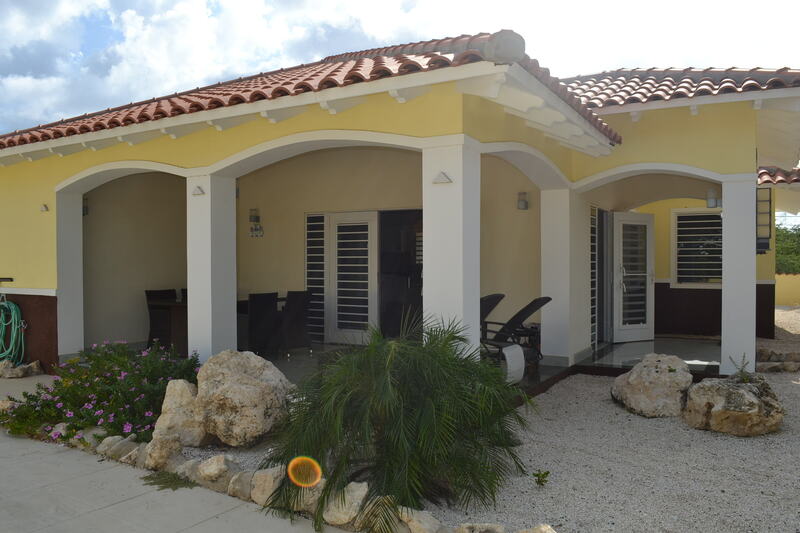 All windows are equipped with sreens and shutters. 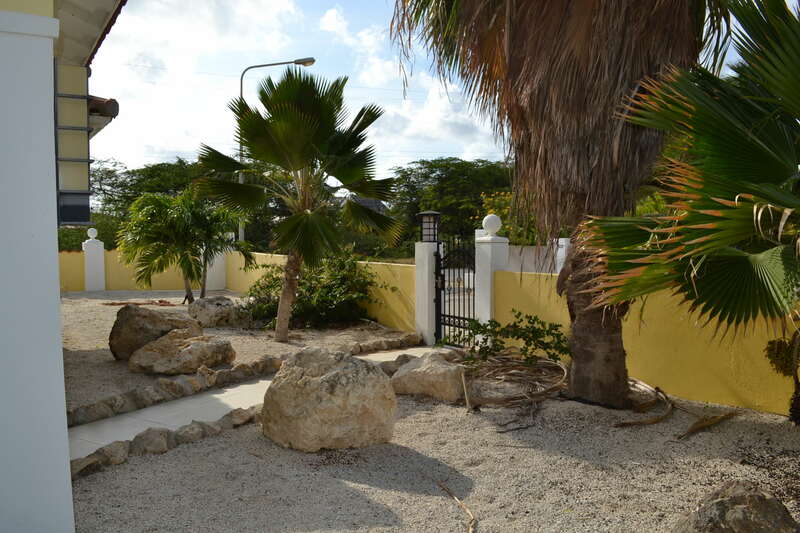 The tropical garden has a high fence and plenty of privacy. 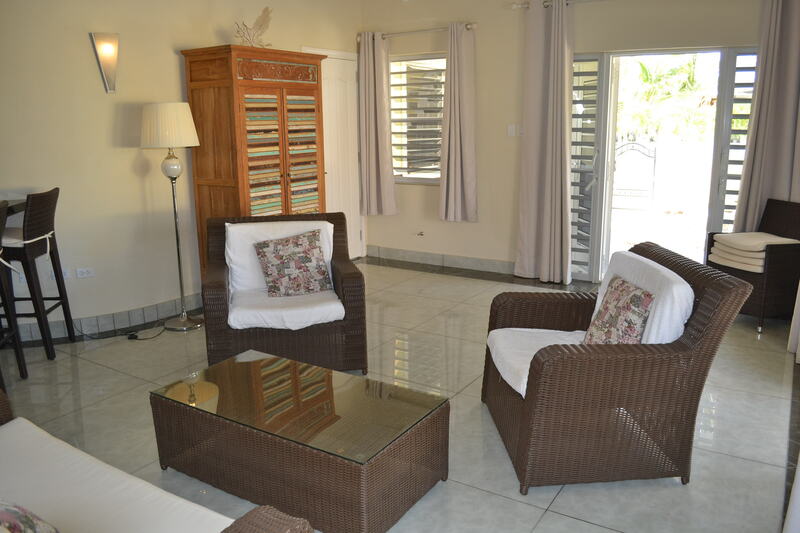 In addition to reclining chairs also there is outside dining table. 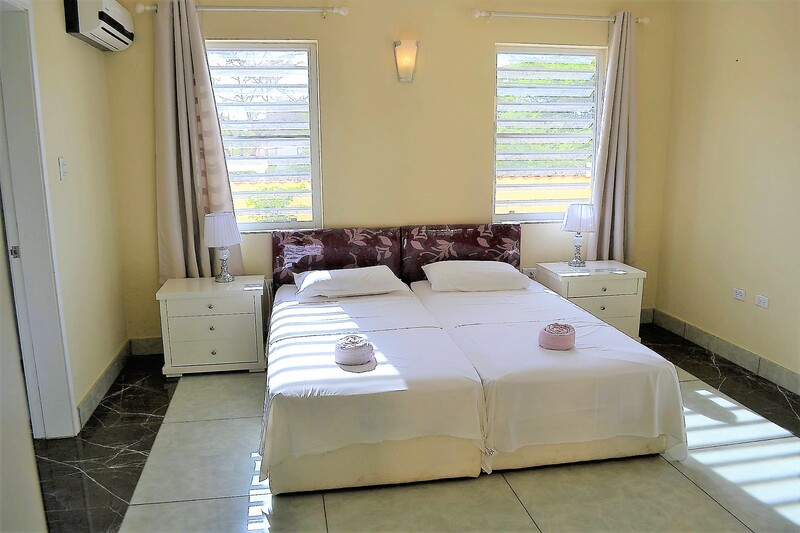 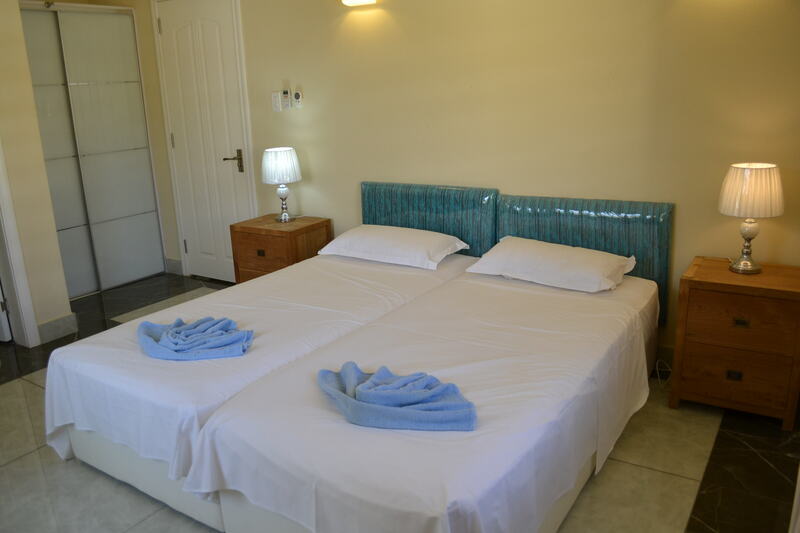 In total, the villa has 3 spacious bedrooms with en suite bathrooms. 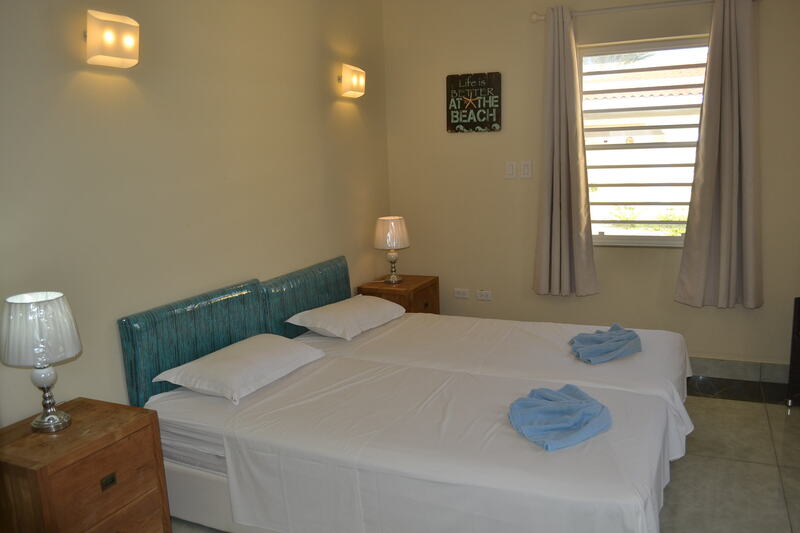 The bedrooms have a lot of closet space and have an split unit air conditioning, ceiling fans and box spring beds. 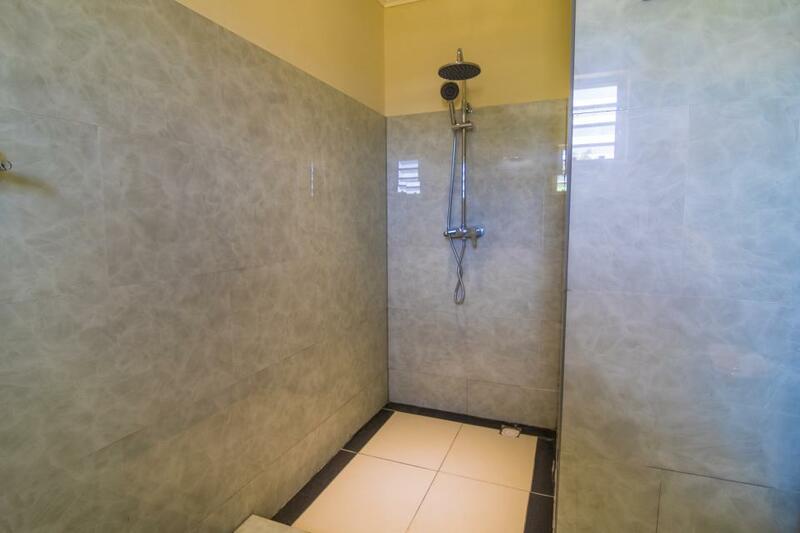 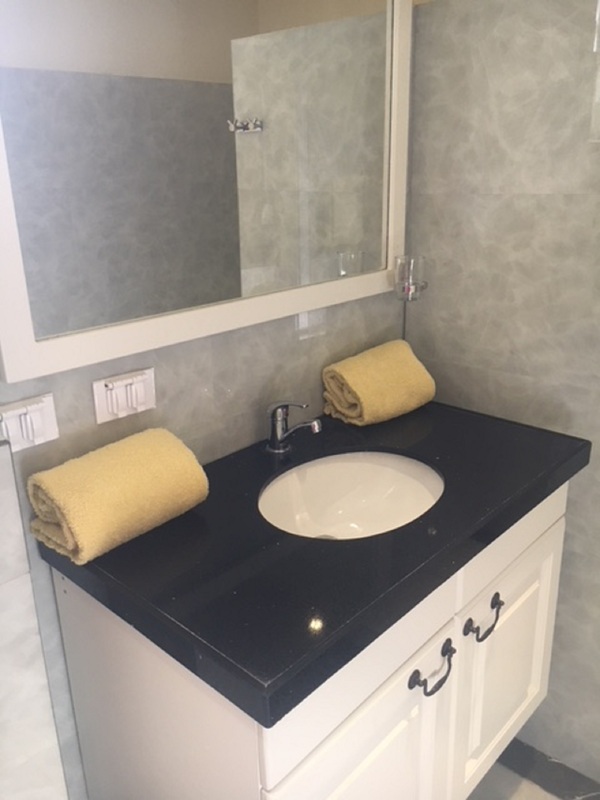 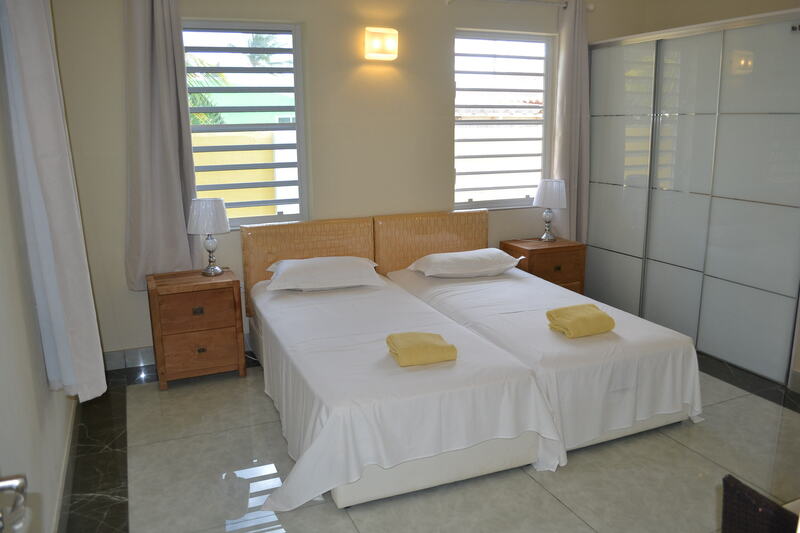 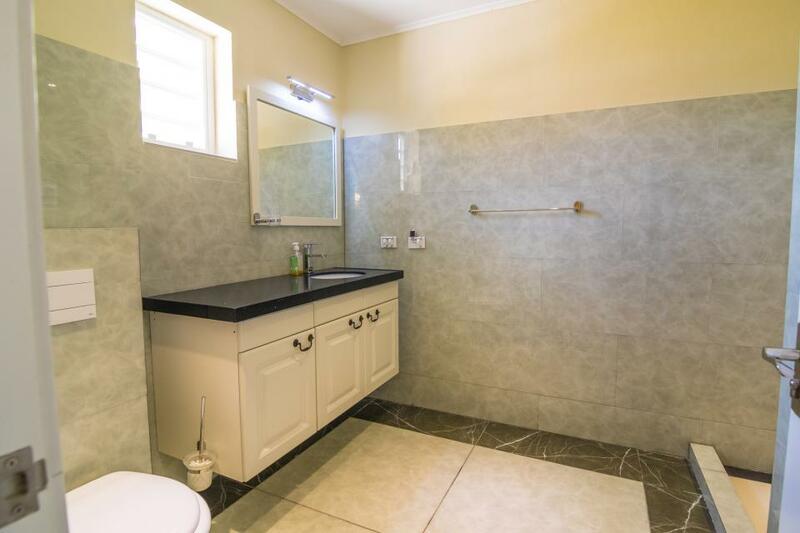 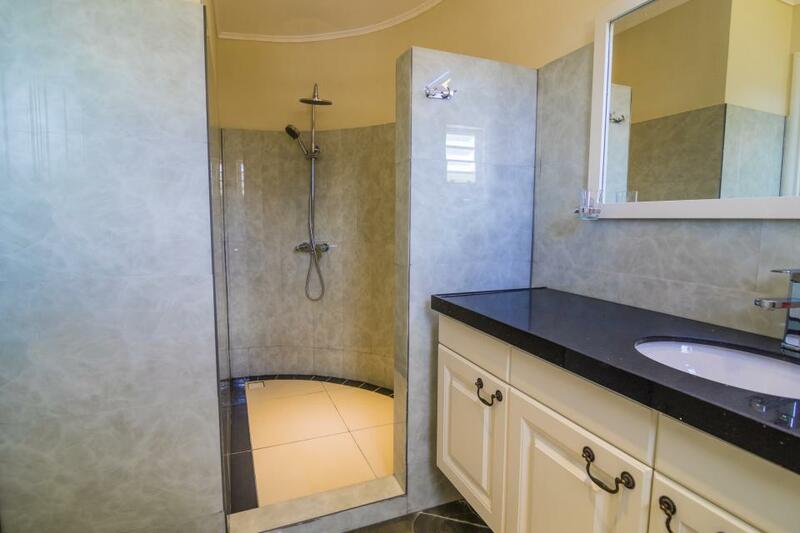 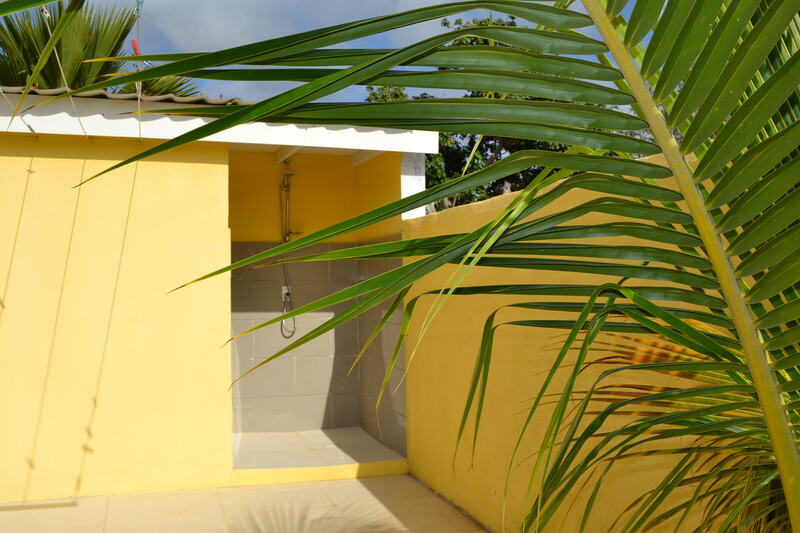 Each bedroom has its private bathroom with shower and toilet, the master bathroom has a double sink. 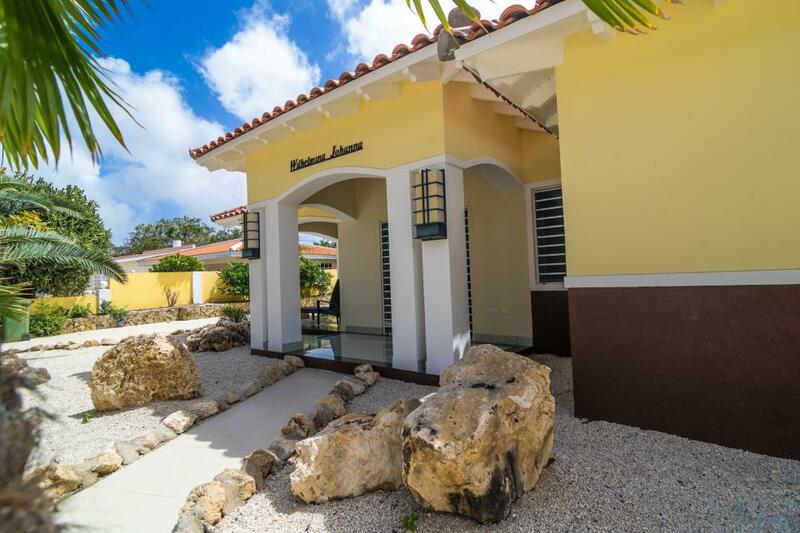 This villa is equipped with a solar water heater. 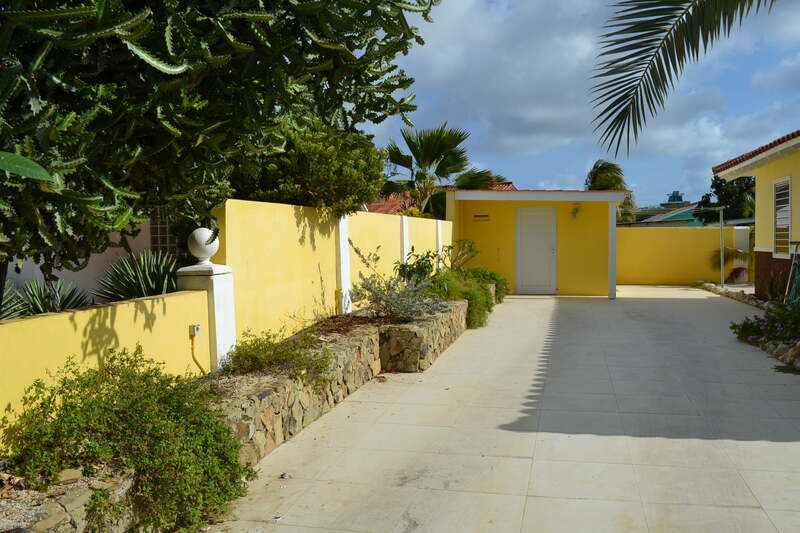 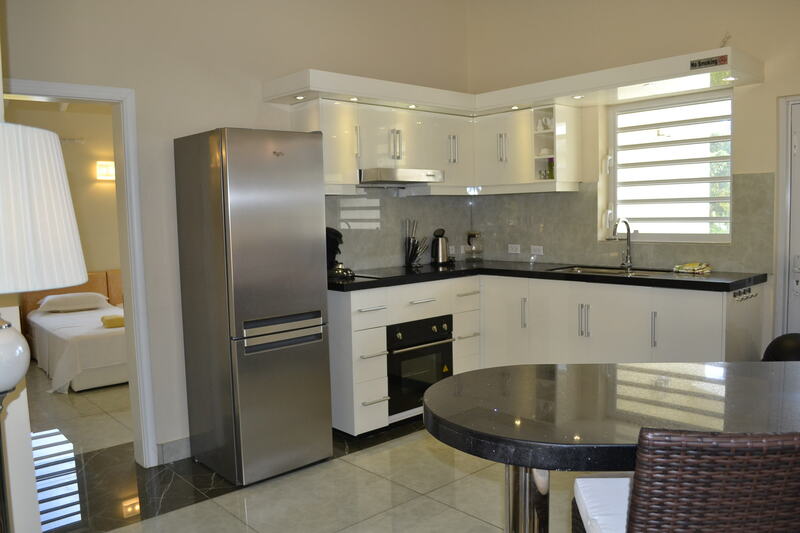 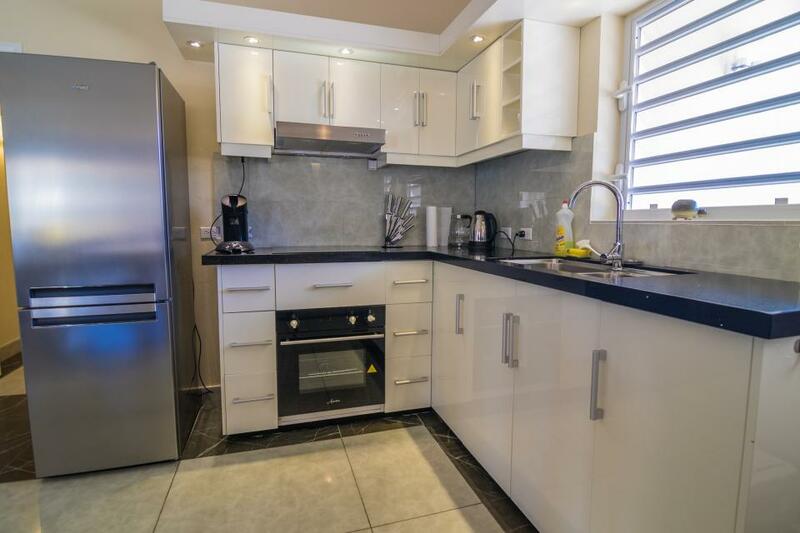 Within walking distance of the boulevard with bars, shops and restaurants (200-300 meters). 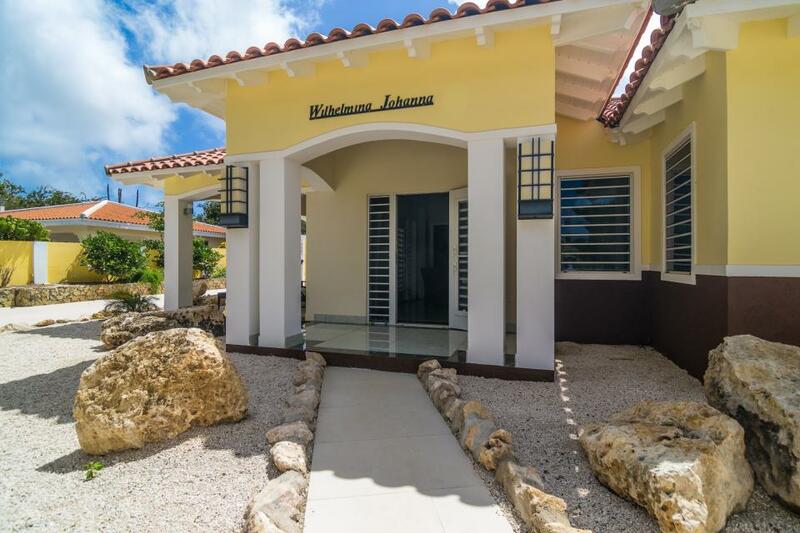 In the neighborhood is also a supermarket, car and scooter rental, bicycle rental, bank with ATM, souvenir shops and dive shops / dive centres. 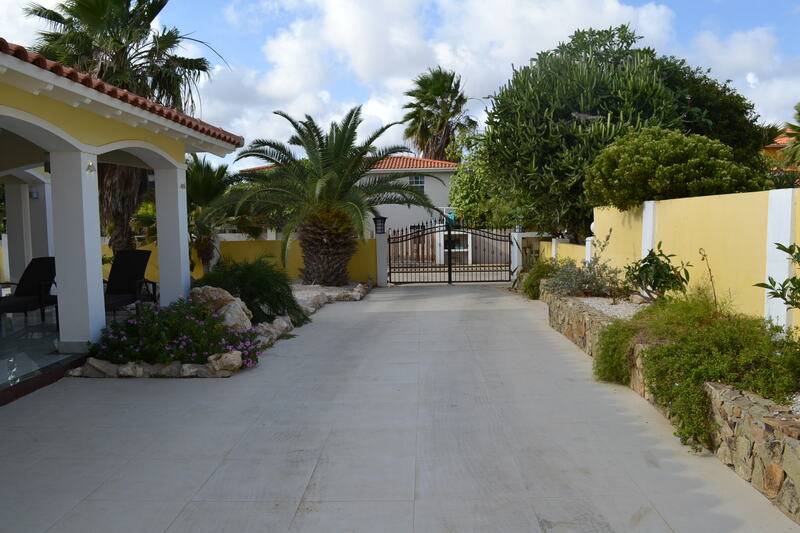 The nearest beach is about 400-500 meters from the villa. 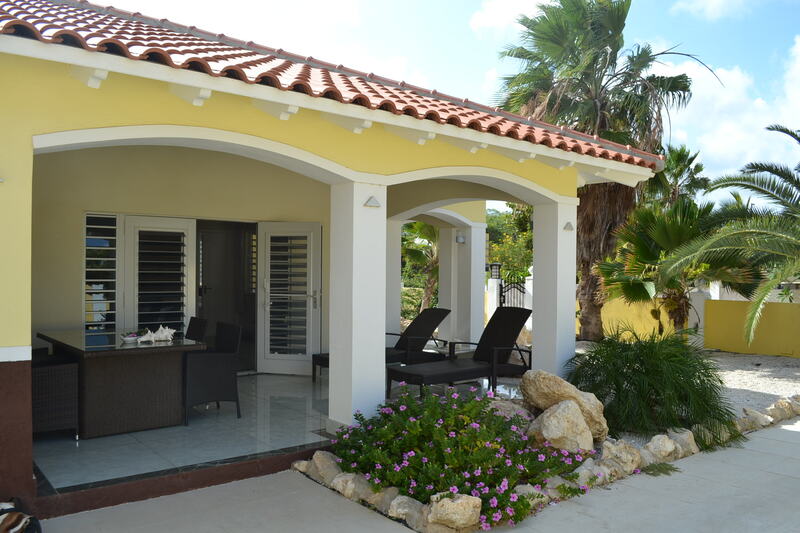 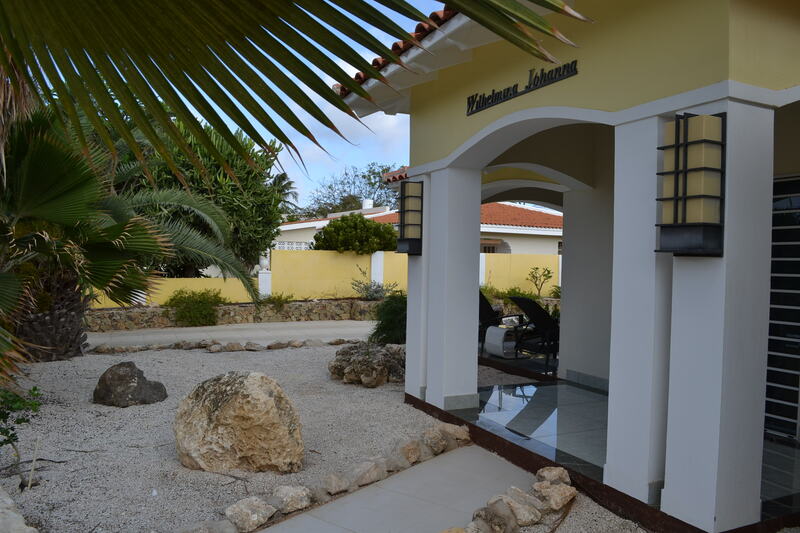 This villa is also great as an investment and offers excellent rental possibilities.